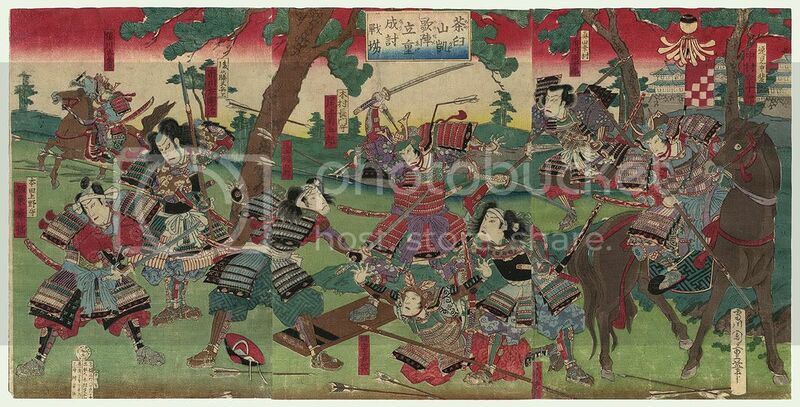 Im a big fan of samurai art and Ive been looking for large prints depicting battles but I havent had too much luck in the area. 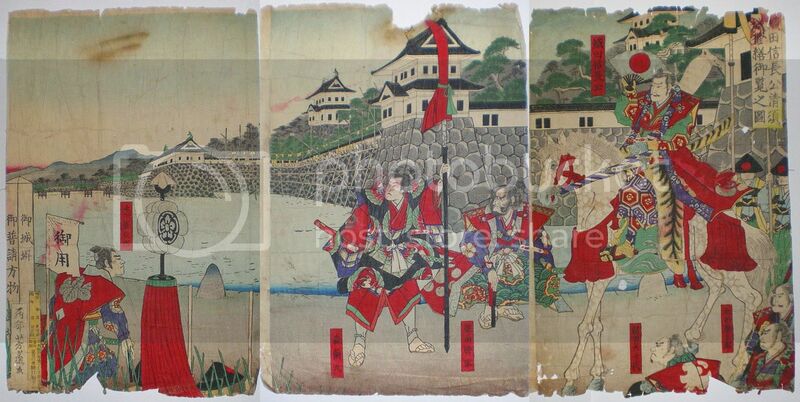 The only ones ive managed to find over the years are this (the background of the samurai archives homepage several years ago) and a few random ones. Anyway, coming to this forum, I'de hoped that a few of you would have some pics similar to these stashed away, so would you please be able show them off? 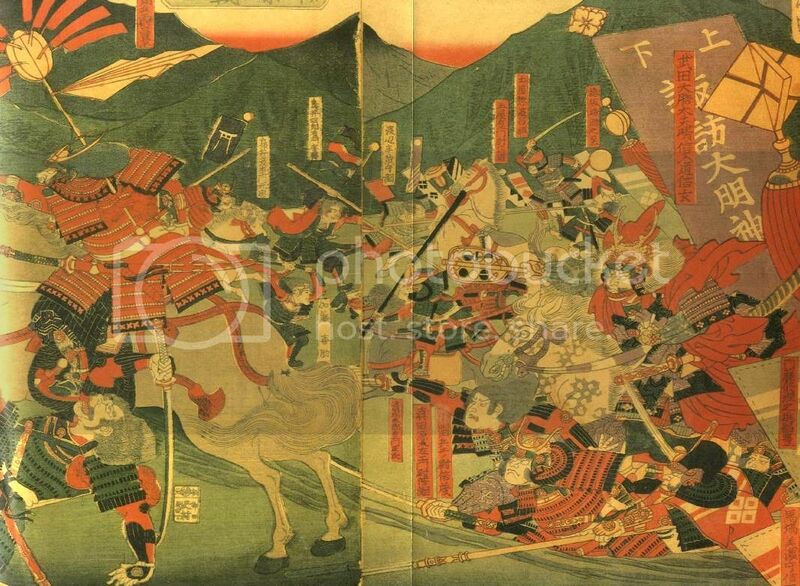 Heh, the first one is a scan I did of the battle of Mikatagahara from a rekishi gunzo book years ago and had on samurai-archives.com. I took the image down because it was too big and was wasting disk space. Now I have more than enough, but lost the image. Guess this stuff floats around the internet forever. Interesting. I dont suppose you've got any more? the great battle between fruits, vegetables and FISH! Utagawa Kuniyoshi (called "mushyae-no Kuniyoshi" ("Kuniyoshi, painter of the warriors")) got many of them in his woodblock prints series. Can be found in this section of the site, dedicated to him. Anyone have any idea what the effects of putting an original print through a scanner would be? I've got a burgeoning collection going on, but taking a picture of them to put on the internet doesn't do enough justice to them. A large flatbed scanner would likely be fine depending on their fragility and overall condition, but there's no way I'd risk putting them through a feed scanner (from someone with LOTS of experience scanning all types of documents). I've scanned many of my smaller prints (I only have an A4 sized flatbed) and they came out just fine. The matoi and inkan ones were scanned. I do prefer to take photos though--it's more of a fun challenge! 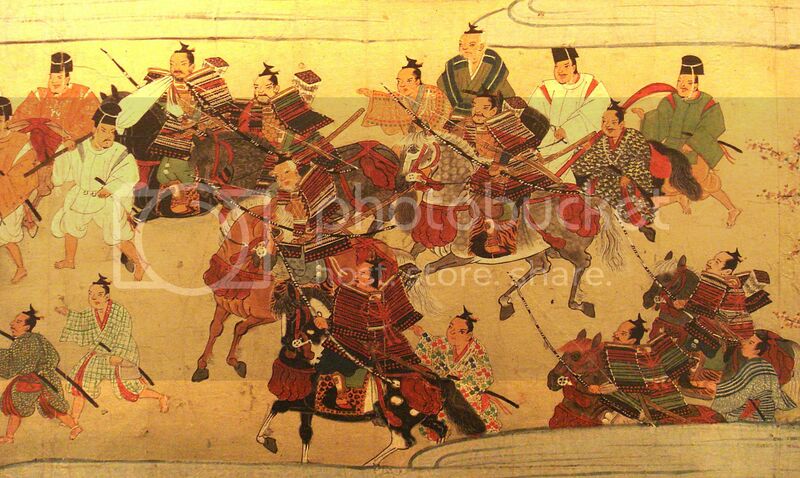 Khan, the sword looks familiar because it is displayed at Gifu Castle. 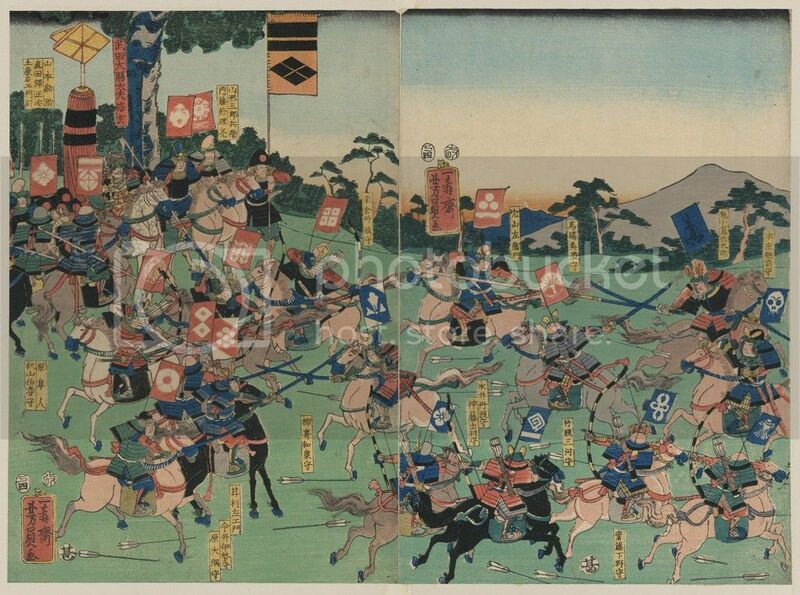 I would love to get my hands on the Nobunaga print! Nice to hear from you again Domer.